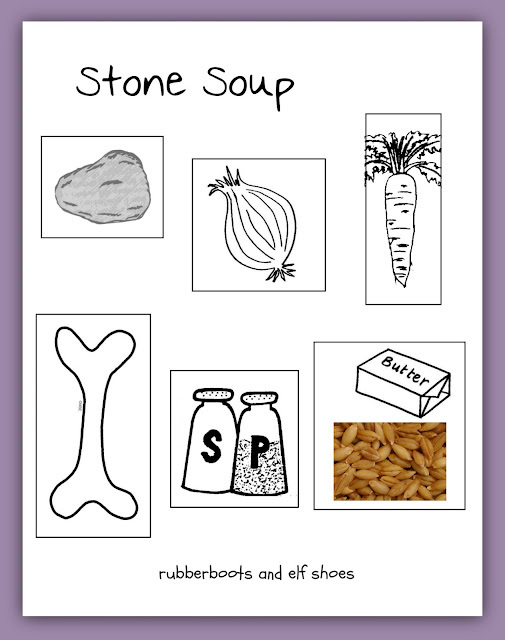 Today we made stone soup. 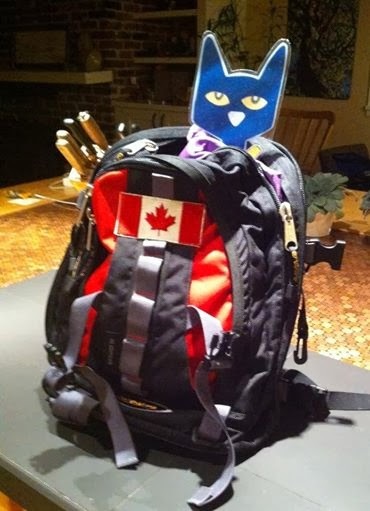 The kids brought everything else. 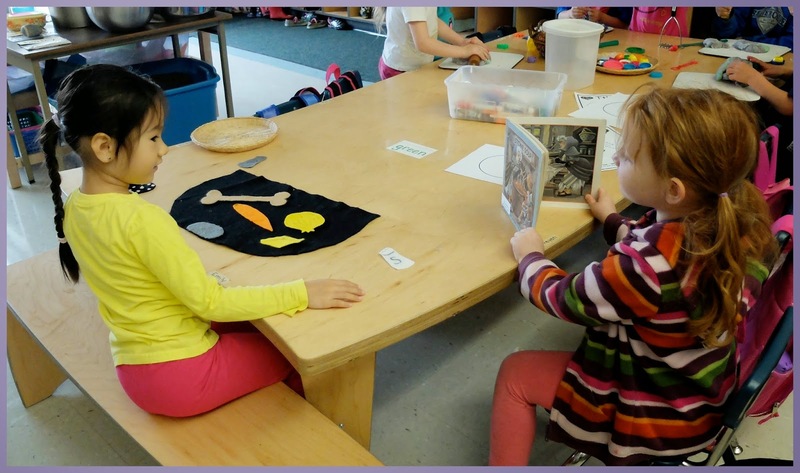 Of course, we read, reread, retold and reread and retold some more the book, Stone Soup. A young man was walking down the road. He walked and he walked. He walked all day and he walked all night. He was tired and very hungry. I like this book because of its potential for retelling. The text does the job of telling the story. There is a good amount of repetition - "Soup from a stone" said the little old lady, "fancy that" is repeated after each addition to the soup pot. I am not very fond of the book illustrations; the little old lady reminds me of the Queen of Hearts from Alice in Wonderland, and the young man does not inspire connection or empathy. 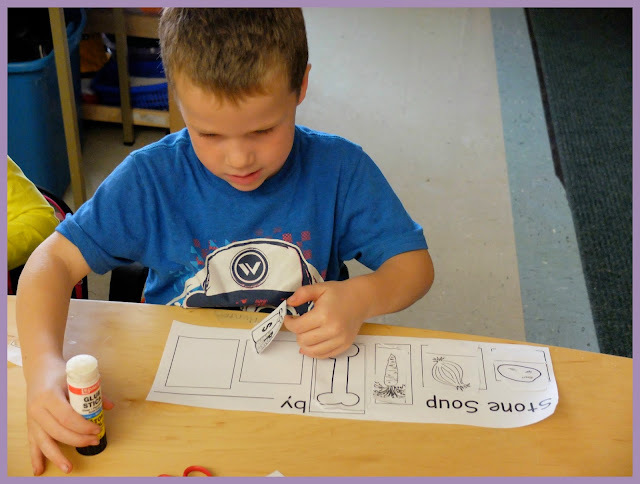 But the book is a great springboard for individual or group retelling. And it has been in print since 1968 (Ann McGovern's text) and with the current illustrations since 1986. It must be standing the test of time. and then set out for the kidlets to use. At the end of the story, the young man puts the stone in his pocket before heading out down the road on his journey. One year, I forgot to take the flannel stone out of my pocket at the end of the story, and put it through the wash by accident. It was one of those fortunate accidents, because the stone came out all rough, bumpy and more stone-like. Then the kidlets put in all the goodies that they brought from home. As usual, the soup was quite carrot heavy, but we also had purple potatoes, and yellow zucchini. 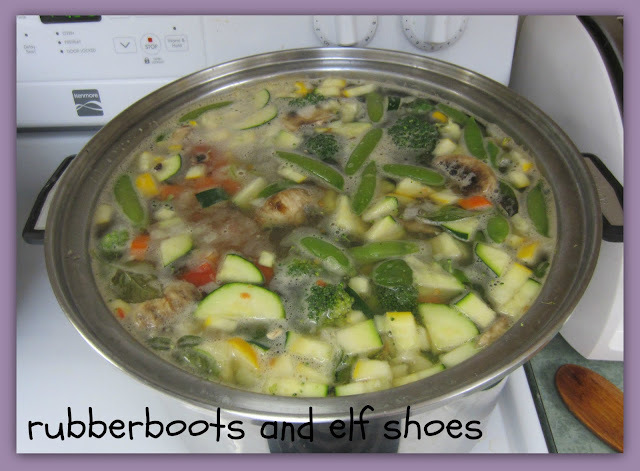 The school smelled fabulous all day and the soup was delicious. A couple of the kidlets helped me set a table "fit for a king". The soup was enjoyed, until all that was left was the stone. Luckily, it hasn't been "used up" yet. We will save it again to use next year. 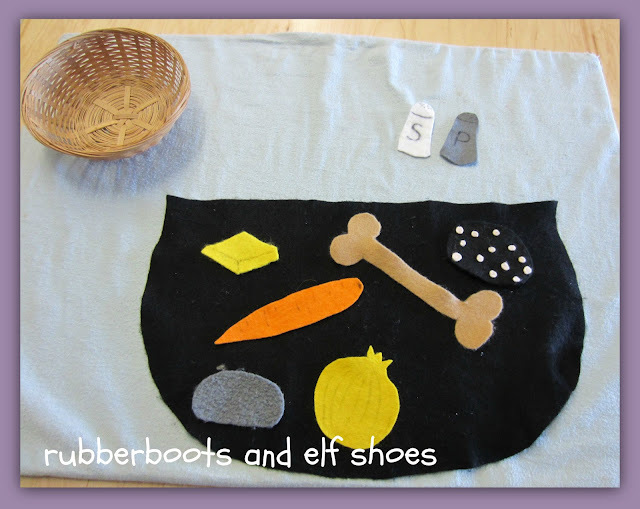 We also made a recipe so that the kidlets could show their grownups how to make stone soup. We glued the ingredients in the correct order. 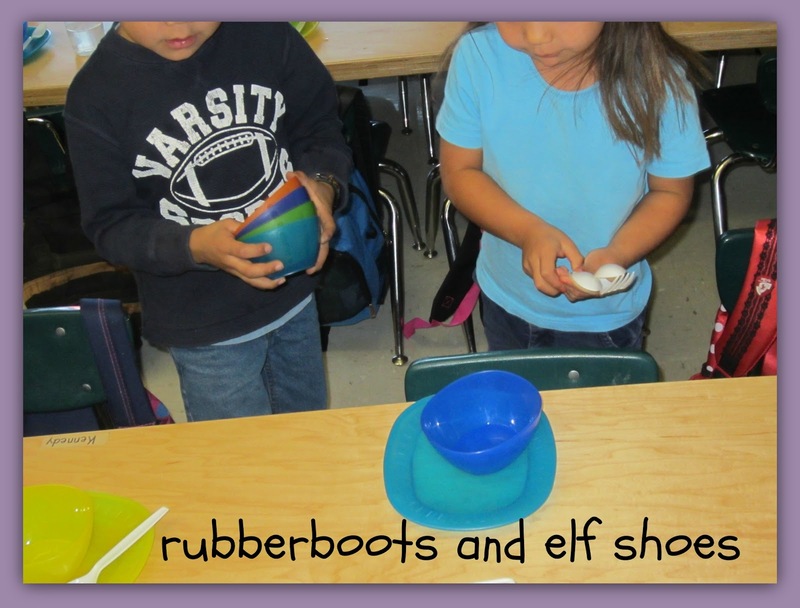 DLTK has links to some stone soup activities. I love how you do so much cooking with your kids. That's really cool. I bet the soup was amazing! Have you read Jon J Muth's version of Stone Soup? His watercolor illustrations are beautiful and i like his take on this classic tale. Great activities, I think we may make some stone soup here since the weather is cooling off! I was planning to read it to the kids on Stone Soup afternoon - but we ran out of time. It's on the plan for Tuesday. 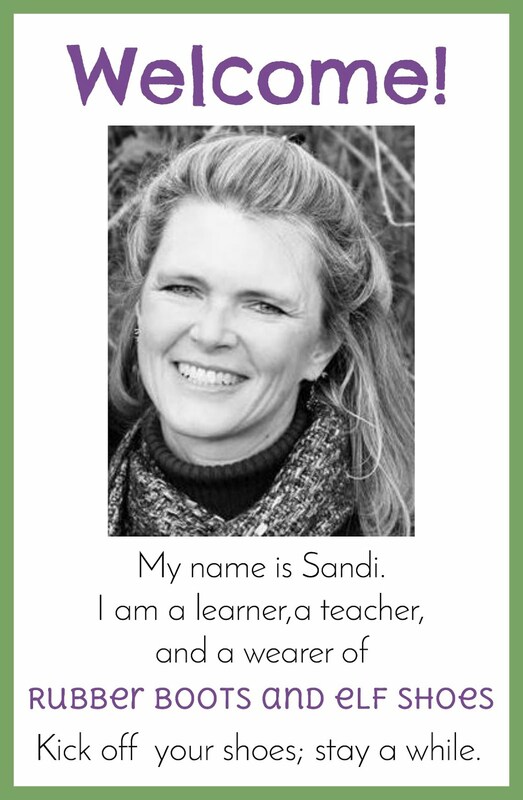 Sandi.....love it! We baked cake last year when we were learning long a! I have always wanted to read this book, but I never have! Looks like we will be cooking soup next! Lol. I'm a new follower! I firmly believe that a shortcut to a kindergarten brain is through the stomach! Glad we found each other's blogs. This sounds great, even though you don't care for the illustrations. 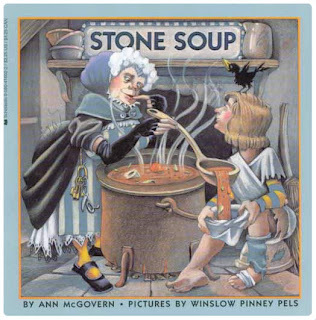 I first encountered the story of Stone Soup in an episode of Little House on the Prairie! Bet your class loved making that soup. I loved Little House on the Prairie. But I don't remember the Stone Soup episode. My favourites were when Nelly or her mother threw hissy fits! I love this! I can't wait to use this in my classroom! Thanks for linking up! I'm your newest follower! 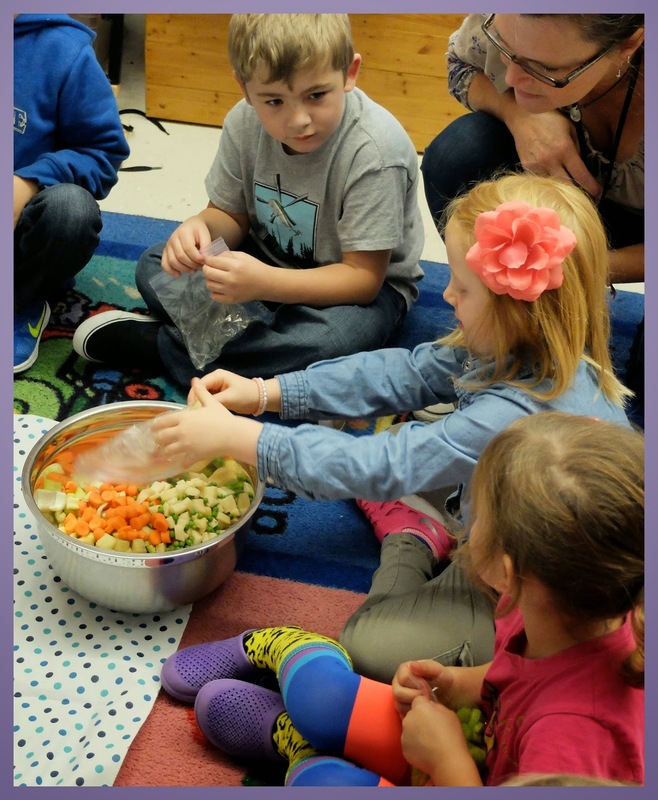 Sandi, We are doing Stone Soup this week. I love that I seem to be a week behind you because I keep getting to use your great ideas right away. As always, thanks for your wonderfully expressed post. Can't wait to see what you and your class do for Stone Soup. I just put this on hold - also because I found the cover so appealing, and I am anxious to see if I have the same response to the illustrations as you do. Also put the one Heather mentioned on hold too! Great activities - makes me wish my kids were young again! Sandi, I remember purchasing this book for my daughter when she was young. 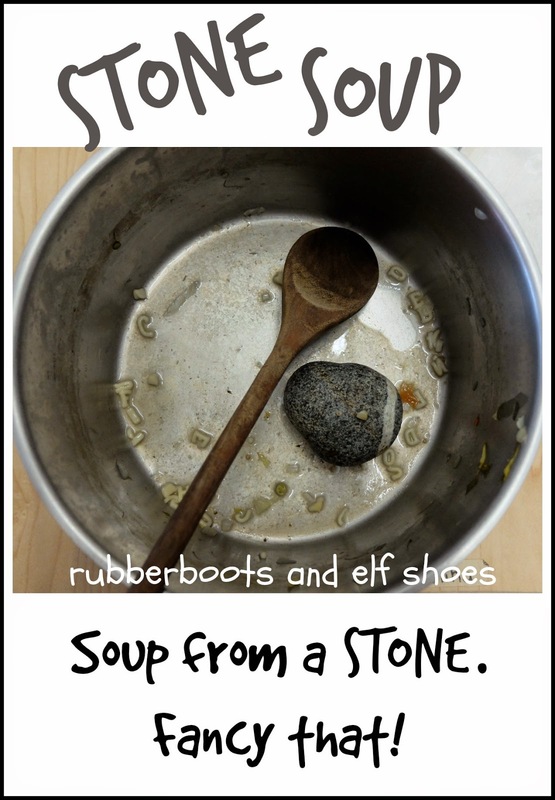 Love your activities and that you actually made stone soup for you kids at school. Kiddo loves picking up rocks now. Might be a good time to introduce this book. How interesting! I have never heard of this book and looks like you all had so much fun! Thanks for sharing at Booknificent Thursday! We just revisited this story here as well. It is such a great story that you can use in so many ways! 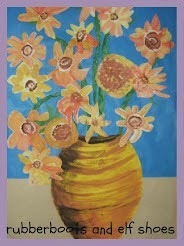 Thanks for sharing this at Booknificent Thursday on Mommynificent.com this week! I always enjoy your reviews and interviews!